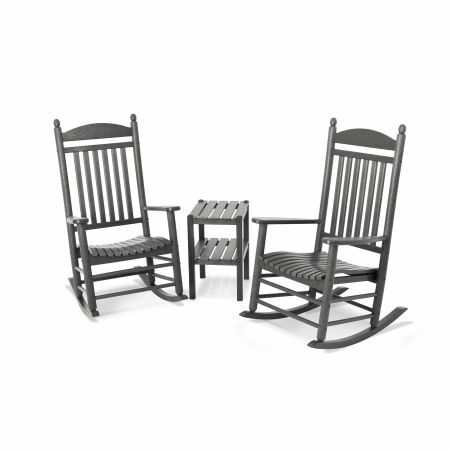 Enjoy your front porch year-round with POLYWOOD® all-weather rocking chairs. 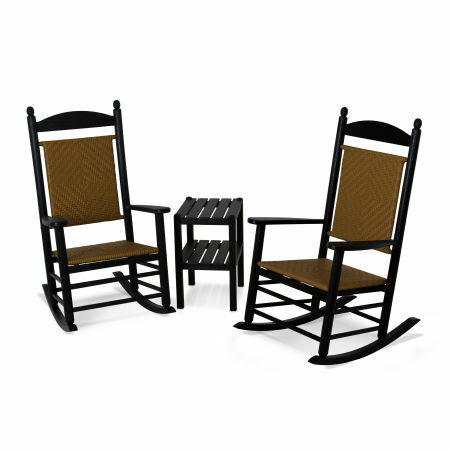 Our rocking chairs are constructed from HDPE lumber and boast superior craftsmanship that can withstand any season. Watching the sky darken and feeling a cool breeze across your skin as a summer thunderstorm rolls in is a hypnotizing experience, one best enjoyed from the comfort of a rocking chair on your porch. But elements like UV rays from the sun, harsh winds, rain, and sea spray can take a toll on your wooden or wicker outdoor furniture. 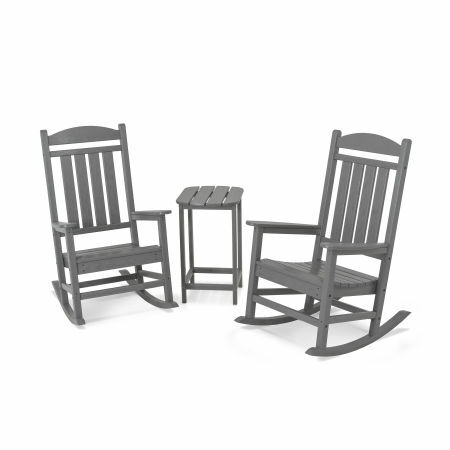 Unlike these more susceptible materials, POLYWOOD® Weather-Resistant Rocking Chairs won’t degrade or deteriorate even after years of exposure to harsh environmental stresses. 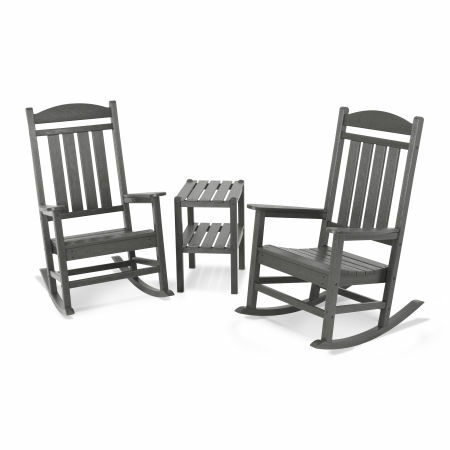 Our Materials: What Makes POLYWOOD® All-Weather Rocking Chairs So Reliable? Built to Last - Our high-density polyethylene (HDPE) lumber is crafted specifically to withstand the elements. POLYWOOD® products won’t rot, peel, chip, splinter, crack, or succumb to an insect infestation, so upkeep and maintenance is a breeze. Stands Up to the Elements - You don’t even have to move it or cover your furniture during inclement weather. Not only does the color run continuously through the material, thanks to our UV-inhibiting POLYWOOD® Color-Stay Technology, your furniture will remain bright and vibrant season after season. Easy to Clean - With POLYWOOD® Outdoor Rocking Chairs, you can spend more time relaxing and less time maintaining: all our furniture needs is a quick wash with soap and water every now and then to refresh their attractive façade. 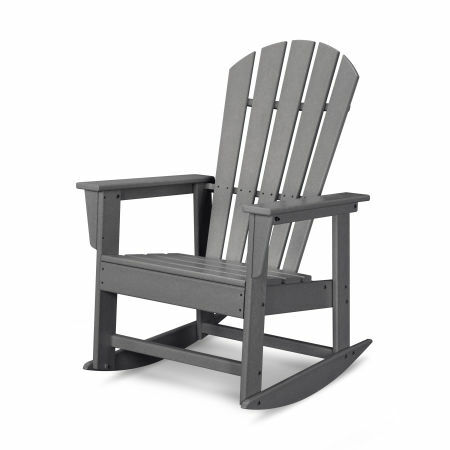 All-weather outdoor rocking chairs are the perfect addition to a cozy porch, adding a touch of style along with a unique calming comfort that only the gentle rocking motion can provide. 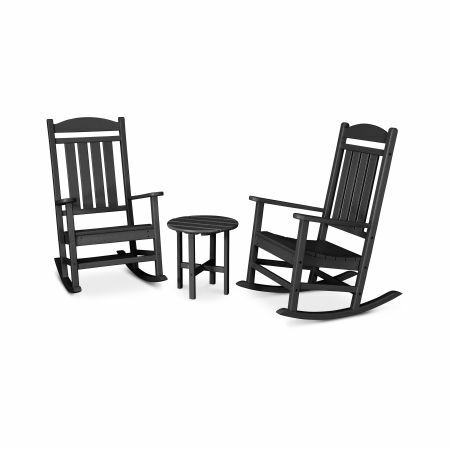 Our collection of rocking chairs are available in a variety of styles and colors that bring new life to any porch or patio. For an even more luxurious experience or an attractive aesthetic touch, try adding one of our seat cushions. Made from Sunbrella® upholstery fabric, our rocking chair cushions are as robust as our lumber and will resist the fury of the natural elements. If you can’t decide on a color from our extensive selection, reach out to our helpful Customer Experience Team to request samples of your favorite shades.